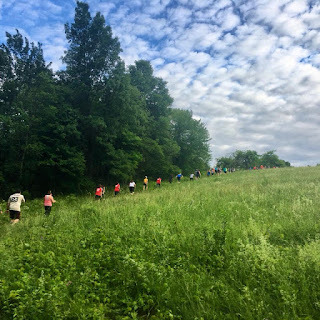 Preview next weekend’s Burlington to Collinsville Classic 10K course with a free fun run on Thursday, May 2, at 6:00 pm. Sign-up form and details below! The 4-mile preview run will follow the quiet and serene multi-use trail and will be led by Jeanne Corey and Kim Marchand of Team HMF. After the run, join them at Lisa’s Crown & Hammer for food and drink specials - because every good run deserves a happy hour! 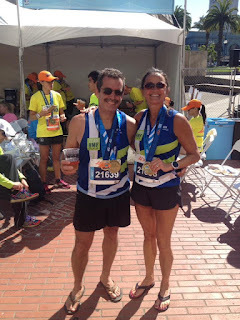 Jeanne works full time at Travelers Insurance Company and part time on weekends as a marathon coach for Fleet Feet for the past 6 years. 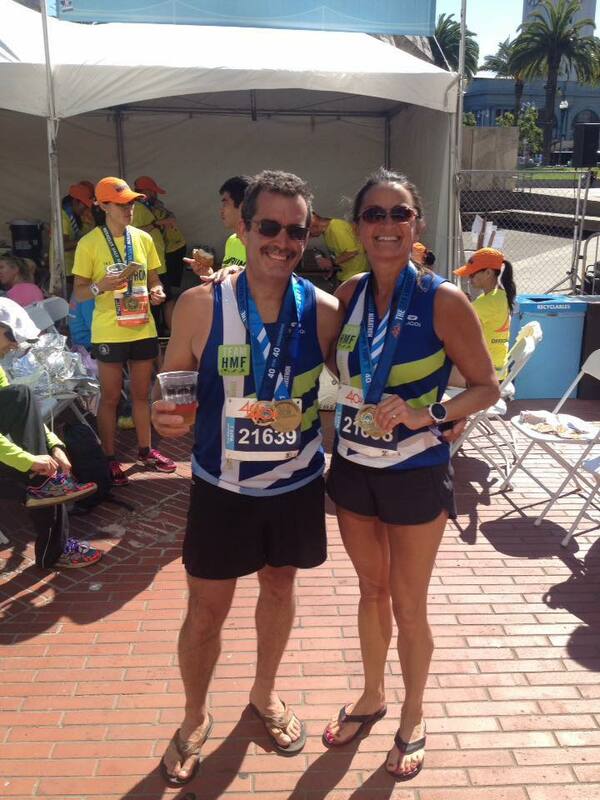 "I love coaching new runners and sharing my experiences and lessons learned throughout the years. I’m looking forward to meeting and running with everyone. 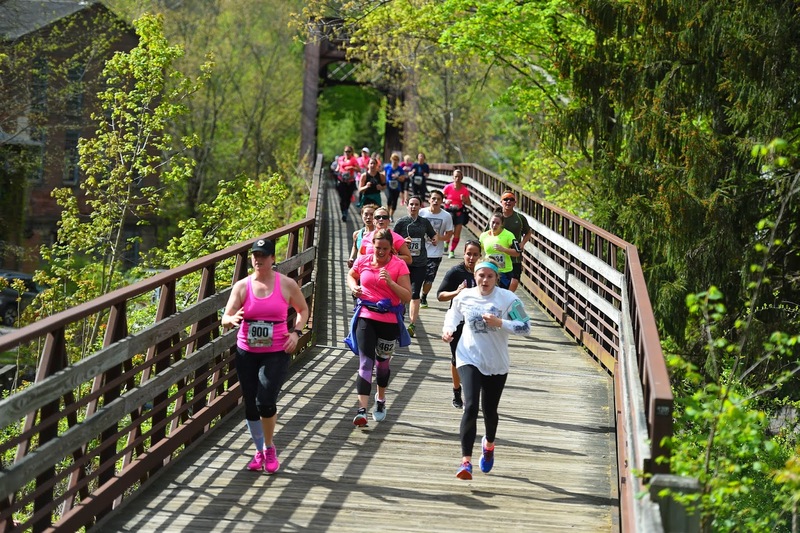 Please make sure to let us know if the race will be your first time running this distance!" "I’ve been running since 2004 and completed a variety of distances. I’m looking forward to meeting everyone at the course preview run and hearing your stories. I’ve run this race the past 3 years and would love to answer any questions you may have on the race or logistics." Please note if you plan to register for the Burlington to Collinsville Classic 10K, we expect to sell out before race day. Everyone who registers by April 27 will have their bib mailed to them! 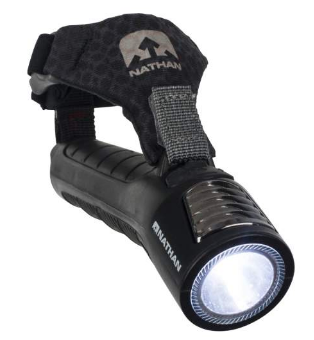 Training for a race this spring? Have you considered movement screening to test your fitness level? Are you tailoring your training plan to suit your lifestyle? 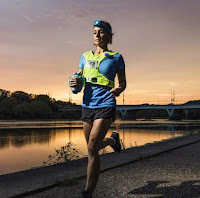 Check out the video below - Chaz from soundRUNNER provides some great tips on how to prepare for your upcoming training cycle and what questions to think through to help get yourself race ready. You hear us talk through the year about various charity and community organizations that are affiliated with our events – we’re very proud of those relationships. As a non-profit organization ourselves, HMF has a unique opportunity to help other non-profits use our events as their awareness campaigns and fundraising platforms. Groups can focus efforts on recruiting and organizing a team, communicating with potential volunteers and donors and driving awareness for their mission - we focus on race logistics so they don’t ever have to. We can offer group registration discounts, packet pick-up and special accommodations on race day, depending on the group size. This model has been expertly executed by Gilead Community Services, an incredible mental health services organization based in Middletown. 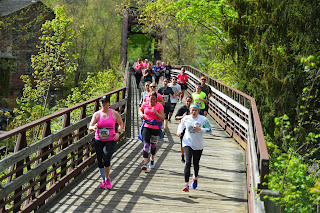 For the sixth year, they participated in our 2019 Harvard Pilgrim Middletown 10 Mile & 3.5 Mile race events with their own theme of “Run for Every 1” to raise awareness about mental illness and the number of people impacted. A group of more than 500 came together as Team Gilead last week in an initiative to bring their clients, staff and the community together and encourage conversations about mental health. Through the event, more than $47,000 was raised to provide quality mental health services to people living in Middlesex County. Funds raised include a grant secured through the Peach Pit Foundation. Gilead Community Services coordinators hosted group training walks and runs in advance of the race and created a race Web site to share stories. They set up a Crowd Rise fundraising page to enable Team members to easily collect donations. About 100 Gilead clients were among the 450 who participated in the walk or run on race day, a big feat for many who have limited physical activity. Team Gilead engaged community runners or walkers too, including groups from Middletown High School, Middlesex Community College and Wesleyan University. Additionally, almost 100 Team Gilead volunteers provided support on the race course Sunday and cheered on participants. Spring!! It's time to get off of the treadmill and onto the roads and trails. 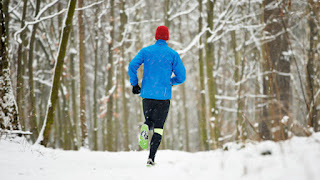 Our friend Steph at FleetFeet West Hartford put together some great ideas to help get you off and running this season. Spring has sprung! Knowing Connecticut, we’re probably good for one more snowstorm before spring is here to stay, but at least the snow will melt quickly! Run backwards. No, not physically backwards, but directionally. If you normally do a loop clockwise, switch it up and run counter-clockwise. It'll feel like an entirely different course, yet you'll be in the same comfortable surroundings. Change your terrain. If you're a road runner, head into the woods. You'll be amazed at how peaceful it is. Plus, you won't have to fight traffic or worry about getting hit by a distracted driver. CT has miles and miles of awesome trails ranging from smooth dirt roads to climbs with roots and rocks that require you to be balanced and light on your toes. It's a combo run and core workout sure to make you stronger! Change your workout. Do you run the same pace every time? Vary it up. Go slower, but increase your distance. Go shorter, but add some bursts of speed. Run hill repeats. Do a track workout or incorporate body-weight exercises during your run (burpees!). Change your shoes. Worn out shoes are at the heart of many sluggish runs. 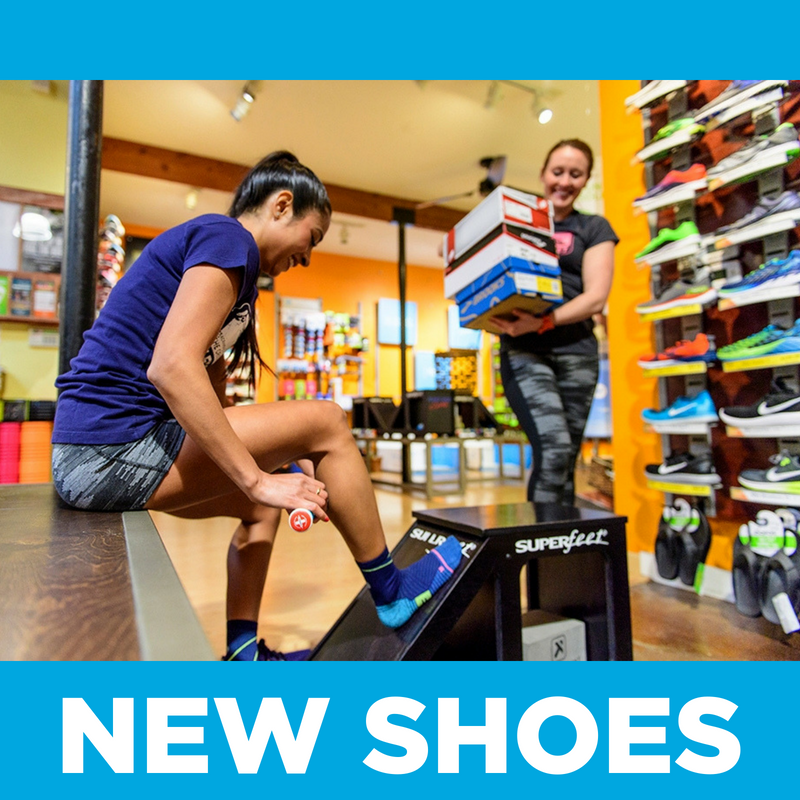 If you typically get a new pair every April, but have been exercising more this winter than usual, there is a good chance your shoes are ready to be replaced. There is nothing more motivating to me than going for a run in new shoes. Soo cushy & comfy. Ahhh! Do something different. Cross training, especially with weights, is one of the best ways to increase your strength, endurance and mobility, which can have huge benefits to your running. Fleet Feet partners with CrossFit Hartford to host a super fun “Fitness FUNdamentals” class three days a week that is designed to make you a stronger, healthier runner. The first class is free so come give it a try! 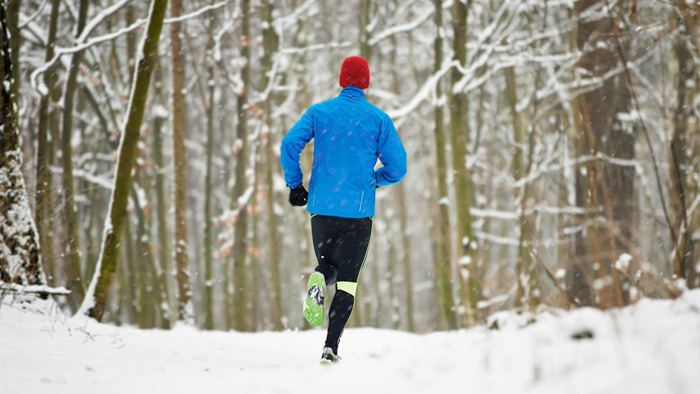 Live by the "C's": Calories, Compression & Cold. If you find yourself struggling to complete workouts, it could be because you aren’t properly recovering. Be sure to eat/drink 200-300 carb and protein-rich calories within 20 minutes at the end of your workout, donning compression shorts/tights and socks and icing sore muscles to achieve optimal recovery before your next workout. Join a Group: Running alone has wonderful benefits, but running with a group can elevate your experience and make the run all the more fun. If you don’t already have a posse of peeps, check out the options offered by your favorite local running shop. 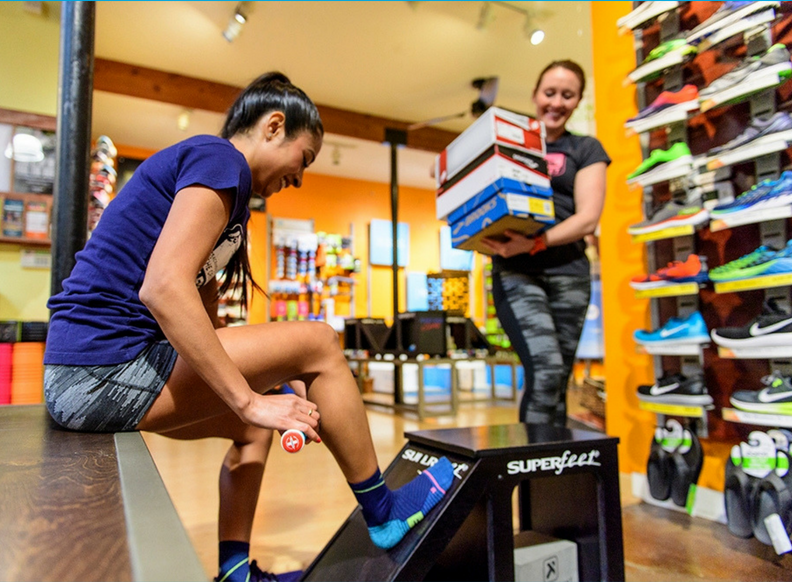 Both Fleet Feet and SoundRunner offer free weekly runs and training programs to keep you motivated all spring long!